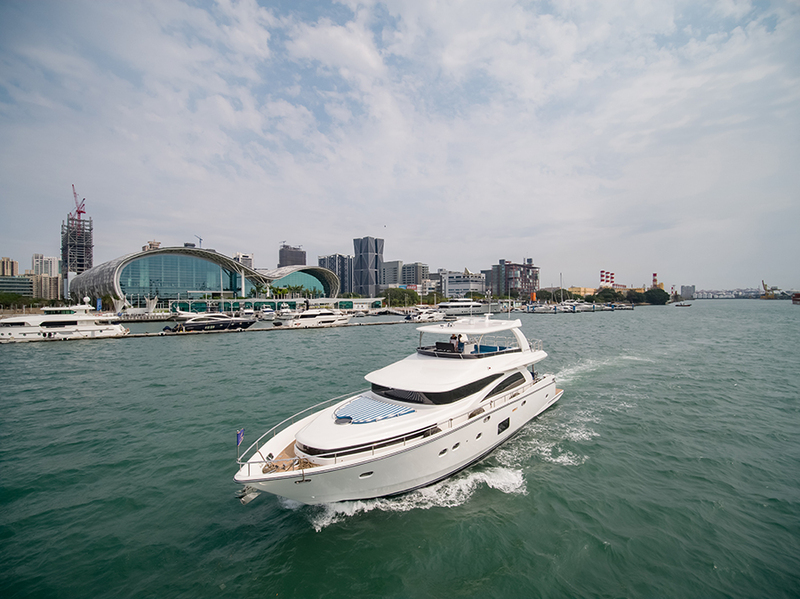 The Johnson 80 has just launched and it is making quite a splash in Taiwan. 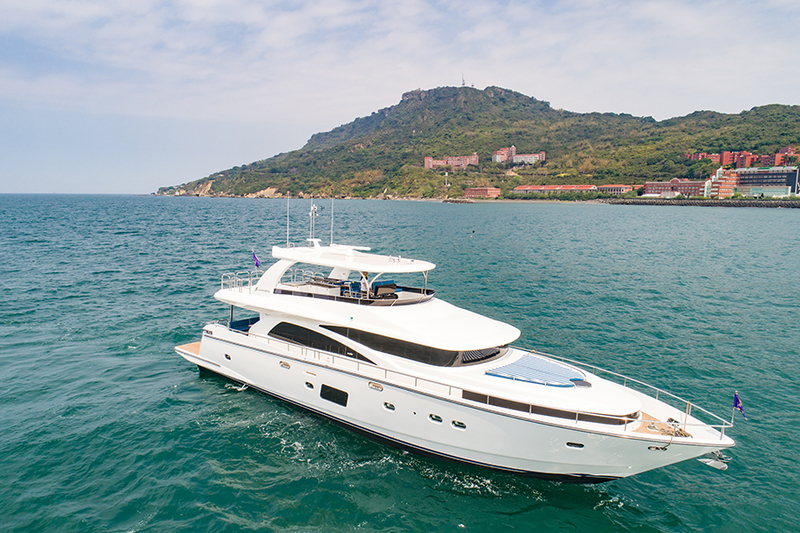 Johnson Yachts describes the new 80-footer as an entry-level superyacht, chiefly because the Taiwan yard offers this model with the same high level of interior customization that has helped make the Johnson Yachts name over the last 30 years. With a focus on building yachts with excellent interior volume, Johnson Yachts set apart this latest Johnson 80 with a striking interior design by Karen Lynn Interior Design. Johnson Yachts has always paid close attention to engineering, as well as handling and cruising performance. This focus means the yachts provide excellent performance and allow customization of the interior layout while leaving key engineering spaces intact. 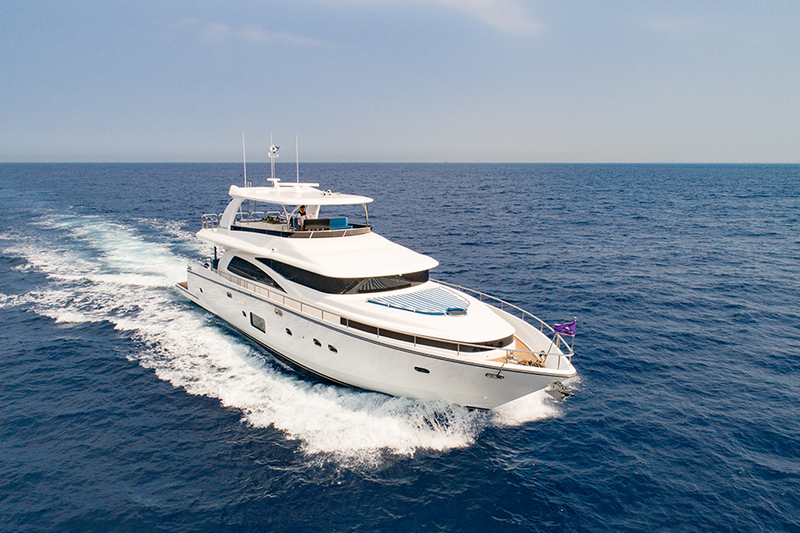 The new Johnson 80 has completed a sea trial and the yacht had a cruising speed of 19 knots and a top speed of 27 knots, with the expected seakeeping and handling Johnson Yachts considers a hallmark of its line. 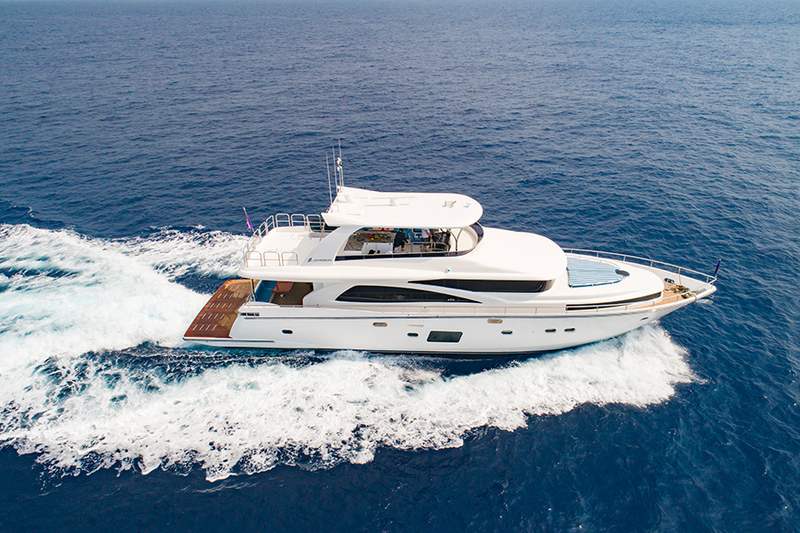 The Johnson 80 has a 20-foot, 8-inch (6.30-meter) beam that carries well forward, helping to create the interior volume that wins over owners who have seen other yachts in the market that don’t measure up. While Johnson Yachts has designs in place for multiple layouts, the owner of each hull is encouraged, to create their own one-of-a-kind yacht. And the interior volume that allows true flexibility means the Johnson 80 competes with superyachts longer than 100 feet LOA. The Johnson 80 has a gathering space in the main-deck saloon, a living area located aft with a roomy L-shaped settee and a pair of loose armchairs. With selections from the owners’ art collection adorning the bulkheads, the space also has a pair of Ottomans for flexible seating. The aft bulkhead opens wide with a multi-panel sliding door, mixing interior and aft deck spaces fluidly. The main deck is also home to a country kitchen arrangement forward, where an open galley is set off with marble countertops and backsplashes arrayed with stainless steel appliances. With an island and breakfast bar, a table in marching marble is surrounded by an expansive Lshaped dinette to take advantage of the 180-degree views through the forward windows. The lower deck, a four-stateroom layout welcomes the owners’ party. An amidships master uses the full beam, with a lounging area and a dressing table that can also serve as a desk. There’s a large head and walk-in closet. The forward stateroom is for VIP guests, with an island berth, dressing table, and a private head. A pair of en suite double guest staterooms round out the accommodations, and can each a double berth or a pair of twins, with the option of a Pullman berth to increase the complement. While this Johnson 80 is so equipped, owners must remember that customization is key, and choice of layout, finishes, style of interior, and fabrics are virtually unlimited. 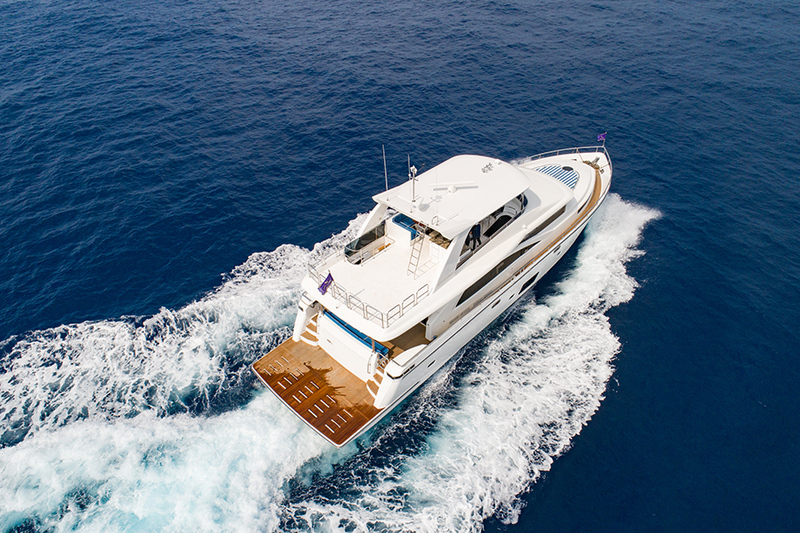 Stay tuned for more information about the new Johnson 80, including when she may available for inspection and sea trial.